mano wrote: I found out that Knight D5 can not attack n43. It is supposed to, right? Nice catch, Knight HD5... BOB doesn't mark it so probably it's not attackable but it should be. not sure if this is the right place to post but, I had a problem with game 12278886 on round Round 18 i started my turn and got troops but when i started the deploy stage it says I had no troops to deploy. not sure if it is a bug or what. but i should of had troops to deploy. if you look at the logs you see that i get troops but then nothing is deployed. earthen wrote: not sure if this is the right place to post but, I had a problem with game 12278886 on round Round 18 i started my turn and got troops but when i started the deploy stage it says I had no troops to deploy. not sure if it is a bug or what. but i should of had troops to deploy. if you look at the logs you see that i get troops but then nothing is deployed. log wrote: 2013-03-03 17:17:20 - earthen got bonus of 2 troops added to ? 2013-03-03 17:17:20 - earthen got bonus of 2 troops added to ? 2013-03-03 17:17:20 - earthen got bonus of 1 troops added to ? 2013-03-03 17:17:20 - earthen got bonus of -2 troops added to ? These above are the autodeploy troops, I assume from that you had 3 castles and you received 1 troop for each castle. The troop was placed on the castle, being autodeploy. log wrote: 2013-03-03 17:17:20 - earthen received 2 troops for holding ? 2013-03-03 17:17:20 - earthen received 2 troops for holding ? 2013-03-03 17:17:20 - earthen received -15 troops for holding ? 2013-03-03 17:17:20 - earthen received 1 troops for holding ? As you can see you received some troops for holding bonuses, can't say which bonuses because it's a fog game, but in one line you certainly received -15 troops for holding the King and 3 castles (the explanation for the King is in the central legend of the map). Being a negative number you had nothing to deploy. thenobodies80 wrote: Kab, the Community is calling, do the few adjustaments needed, then we're done with this map. ---The Beta period has concluded for the King's Court II Map. All objections have had their time. The Foundry and I hereby brand this map with the Foundry Brand. Let it be known that this map is now ready to be released into live play. At long last, congrats Kab. Record for longest beta map? If he took months to provide an update!!! !.....but I know he was really busy with much more....mmm how to say? ......"yummy yummy" things. Anyway, again congrats for the quench...hope you will able soon to continue your buccaneer map idea. 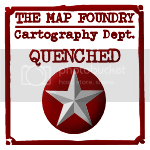 As thenobodies implied above...you should celebrate the quenching of this map by starting another! Gilligan wrote: At long last, congrats Kab. Record for longest beta map? I think the record for the longest beta map is Das Schloss, no? I thought that was stuck in beta for something like a year. If you count the time where it was closed (which was a few months) then probably. thenobodies80 wrote: If he took months to provide an update!!! !.....but I know he was really busy with much more....mmm how to say? ......"yummy yummy" things. this is maybe too late, but naming of regions is not clear. why in xml is region HD6 Road but in the map it is R24? and because map is supersized player must roll up and down again and again when he attacks or reinforce. I mean why is not possible to have names the same? when region has in xml name HD6 why not also in the map? or vice versa? EDIT: I hold The Duke (who can bombard Knights) but I can not "see" some Knights. I mean I can not see their numbers, there are only question marks. Oneyed wrote: this is maybe too late, but naming of regions is not clear. why in xml is region HD6 Road but in the map it is R24? and because map is supersized player must roll up and down again and again when he attacks or reinforce. Kabanellas wrote: As for the Duke, he can only bombard 'K' Knights. I understand, but I hold the Duke but I see armies only of some Knights. armies of some Knights I can not see - there is only question mark. Just to be clear, the Duke can only see knights that are on hexes which start with "K" for their region name. It is likely the knights you can't see do not start with "K" and are part of the castle areas. -=- Tanarri -=- wrote: Just to be clear, the Duke can only see knights that are on hexes which start with "K" for their region name. It is likely the knights you can't see do not start with "K" and are part of the castle areas. hey, just a quick question. When you play this map in trench, does that eliminate trebuchet's? stealth99 wrote: hey, just a quick question. Killer neutrals are not affected by trench gameplay. So, if you begin the turn not holding a killer neutral and then take the killer neutral, you can continue the attack from that killer neutral, all in the same turn. That leaves me with one more question. Is there a difference between "neutrals" and "killer neutrals". What does the word killer mean or refer to? stealth99 wrote: That leaves me with one more question. Is there a difference between "neutrals" and "killer neutrals". What does the word killer mean or refer to? Any territory that resets to a neutral at the beginning of the players turn that holds it, is a killer neutral. This needn't take long. But well, I tend to type a lot. I suggest a very quick alteration to KC2. Balance the starting points of HA most importantly, and potentially, HB. HA castle has no safety from trebuchet bombardment. All that can survive are the catapult and archers, which only bombard, and can not take back their lost castle. HA is the ONLY castle that can not recover. HB is weak but it has No6 as last ditch resort, and from other direction, can hide using knight or village. Even this is not ideal, some castles can survive even while being bombarded from all sides. But several others have this problem too, if your castle faces assault from trebuchets on either side, some survive them both, others do not. But the main issue is HA castle. Again, HA is a totally crippled starting point. The solution is more territories in and around the castle, this may of course be discussed as to what the best solution is. I propose that as HB and HA are both somewhat problematic, as other corners have behind the mountain avenues, give HB and HA connection out of reach of trebuchet so they can seek some refuge, and recover from bombardment. I played kc2 beta only very shortly, but only after just joining, and failed to make comments then, but am making them now. I believe the gameplay does suffer with no safe escape point at all for HA, meaning if you face opponents in HB andor HJ, trebuchet 1 is so central to that corner, it wipes everything clean out. So I am wondering if quick suitable alterations can be made .. quickly... to address this situation. I don't mind if a lot of discussion goes into making the right suitable corrections. But if the implementation once decided... could be made swiftly. What to people in map foundry think, and other cc members? Kabanellas wrote: I was working on the XML, when something occurred to me concerning the Archer/Knight swap. Currently A01 is on a midpoint between HA1 Archer and HJ6 Archer. With the swap HJ Castle will have an easy (more direct) control over A01, which means some predominance over HA castle. I could suggest some changes to compensate one of those options. Swapping or maintaining things as they are. 1- Leave HA1 Archer as it is, but reduce HA3 Knight neutrals fro 3 to 1. Making it easier for HA castle to expand. 2- Swap positions between HA1 Archer and HA3 Knight , but reducing the Archer neutrals from 2 to 1 and possibly A02 from 3 to 2. I see your concern with Castle HJ having an advantage over HA castle via the archer but that archer has a 4 on it and is extremely discouraging to take. I still think the swap of the knight and archer would benefit HA more than it would hinder it. And again allow the quick bombard move to be overcome by using the knight to come back. I like suggestion 1 best and I would also suggest that the catapult could be reduced to a 3 so that at least theyd have a 1 unit retaliation advantage. Ive played about 12+ games on the map and I have never seen anyone ever take A01 before round 10 in any game. I just realized I have to play that map some more I have no games on it right now. ...we could still work a bit around it.... but don't really know. This is a issue that never worried me that much..
it doesnt matter that knight was reduced from 3 to 2. its going to all get bombarded just the same. the knight might help for quick expand... but then ha has some daunting tasks to survive.